Hi Y’all. 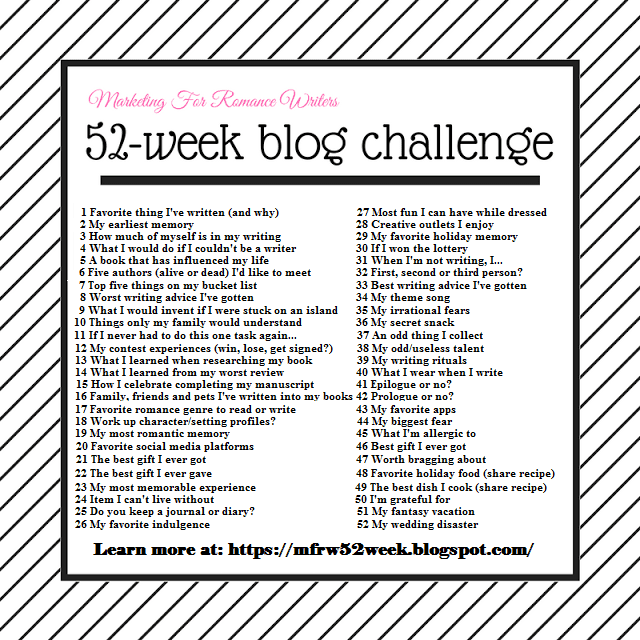 Welcome back to the Marketing for Romance Writers 52-week blog challenge. It’s week 7 and our topic is What’s five things on your Bucket List. I don’t call mine a bucket list but my dream list. Mine is quite long as I am quite the dreamer but here is five in no particular order. Travel cross-country to see the Golden Gate Bridge, the mountains, both coasts, and everything in between. Fly on a commercial plane though this would get covered in the first one LOL. Do you have a bucket list? What’s your top five? Let’s go see the other Author’s top five! The Golden Gate Bridge is magnificent. (As long as I didn’t have to drive across it myself.) I spent an hour or more photographing it. San Francisco is my favorite city to date.. Even If Alan drove across I am sure I will have a panic attack. I may just have to look or walk part way if it’s allowed. I want to see both coasts and so many more things. You can walk across the Golden Gate Bridge (I ran it, virtually, on my treadmill which is hooked into Google Maps). We sailed under it on a cruise a couple of years ago, which was cool. I hope you get to do everything on your list (starting with “sell a million books”, which will fund your travel). Nice list. Short and sweet. The cruise, yep my fear water has kept me from going on one so far, but I would like to take the kids on a Disney one at some point. I’m not the biggest water fan either and am claustrophobic so not sure how well I would do but I sure would give it a shot! Great list! I would adore several of those! I have an aversion to the term bucket list. I wonder what cool name we could call it instead== hmmm.